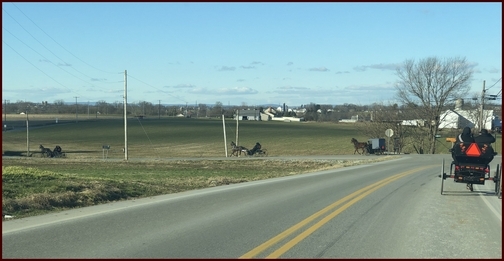 Traveling home from the Old Windmill Farm yesterday afternoon there was a lot of Amish traffic on Paradise Lane. Most were young people going to their youth group! Message summary: Today let us consider the “agony of almost”. “Then Agrippa said to Paul, ‘You almost persuade me to become a Christian'” (Acts 26:28). “For this reason I also suffer these things; nevertheless I am not ashamed, for I know whom I have believed and am persuaded that He is able to keep what I have committed to Him until that Day” (2 Timothy 1:12). This last weekend there were four NFL playoff games and three of them were very close. In any game loss whether it’s close or not there is disappointment for the losing team and its fans. But some losses are agonizingly close. Last night’s final minutes of the game between the Chicago Bears and Philadelphia Eagles was very suspenseful. Living in this area most are Eagles fans but the coach of the Bears, Matt Nagy, is from a neighboring town (Manheim) so there is some division in the fan base even in our area. The game came down to what should have been the game winning field goal for the Bears from a distance where almost all field goals are successful. The kicker, Cody Parkey (who used to play for the Eagles), lined up for the kick and, a second before kicking the ball successfully through the uprights which would have won the game, the Eagles coach called a timeout in a desperate effort to “ice” (frazzle) the kicker. The kicked football hit the goalpost upright and then bounced down and hit the crossbar before bouncing out for an agonizingly close miss. The Eagles won the game. Elated joy for one side and unbelievable agony for the other! The Bears had almost won the football game. I felt for the kicker who was experiencing, along with the rest of the Bears team and fans, the “agony of almost“. However a brief glimpse of him joining a group of other players on the field for a post-game prayer was an inspiring moment. Today let us consider an infinitely more important “agony of almost“. Anyone who has witnessed for Christ, whether one on one, or in a group setting has dealt with rejection or a lack of receptiveness to their message and appeal to renounce sin and follow Christ. Paul experienced this when he was testifying before King Agrippa and the Spirit led him to pour his heart out and challenge Agrippa to become a Christian. Agrippa responded, “You almost persuade me to become a Christian”. This is how the scene ends and we are left to wonder if Agrippa ever chose the way of Christ. Some 1900 years later songwriter Philip P. Bliss was assisting an evangelist named Rev. Brundage. 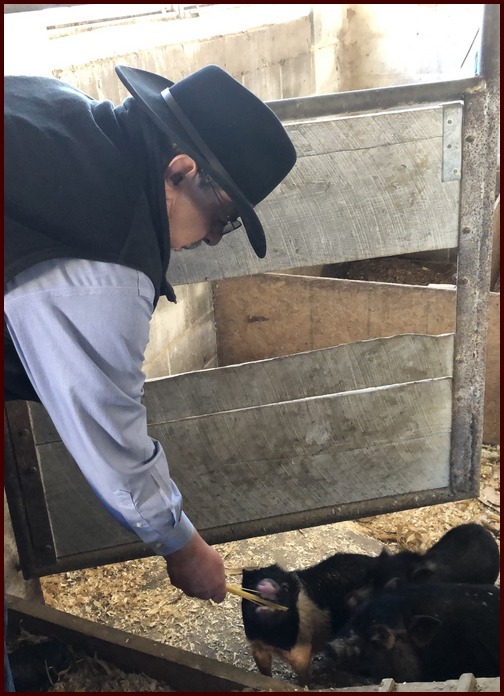 During the sermon, the evangelist quoted Acts 26:28 and declared: “He who is almost persuaded is almost saved, and to be almost saved is to be entirely lost.” This prompted P.P. Bliss to write a hymn titled “Almost Persuaded”. Agrippa properly recognized that Paul was seeking to persuade him to be a Christian. That’s significant. It wasn’t a sneaky, back door approach that Paul used. Agrippa knew just what Paul was doing, but in the end, the decision to follow Christ was Agrippa’s to make. We can only prayerfully present the truth and live the Christian life, but we cannot force people into a decision for Christ. In today’s two texts we have a contrast between the peril of “almost persuaded” and the blessing of “fully persuaded”. Where do you stand? Join us in this declaration: “For this reason I also suffer these things; nevertheless I am not ashamed, for I know whom I have believed and am persuaded that He is able to keep what I have committed to Him until that Day” (2 Timothy 1:12). Daily prayer: Father, there are scores and scores of people who hear the gospel message, wrestle with the changes it would bring in their life should they follow You, and then delay or ultimately deny You access. But it isn’t until we fully surrender ourselves to You that we can experience Your love, peace, forgiveness and eternal life which are the greatest blessings that come to those who walk by faith and not by sight. We thank You for courageous believers who share the gospel message as they seek to persuade unbelievers to come to faith. May we be among them is my prayer. Amen. 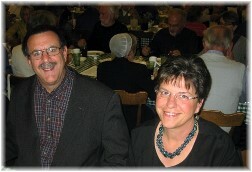 After church yesterday we had dinner with the Lapp family at the Old Windmill Farm. They have renovated their old farmhouse and now have this panoramic view outside their kitchen window. 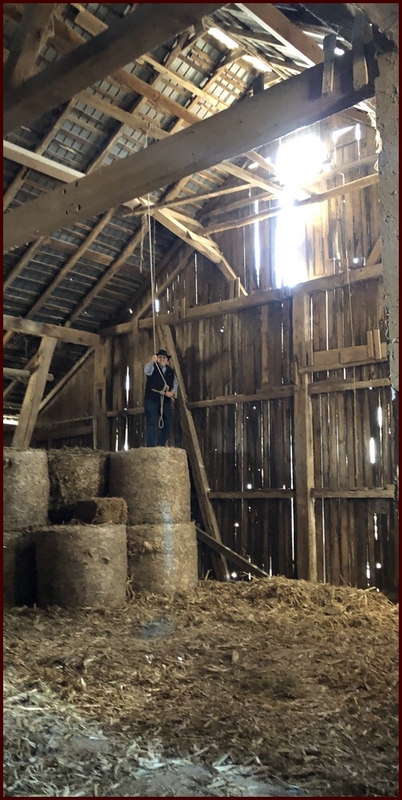 After our meal Eli took me out to the hay loft in the barn to show me the swing that he and his brother Moses rigged up which was hanging from the rafters. When I was young I sure enjoyed playing in my Uncle Gentry’s barn out in the country near Harwood, MO. However I should disclose that I didn’t swing out across the barn yesterday! 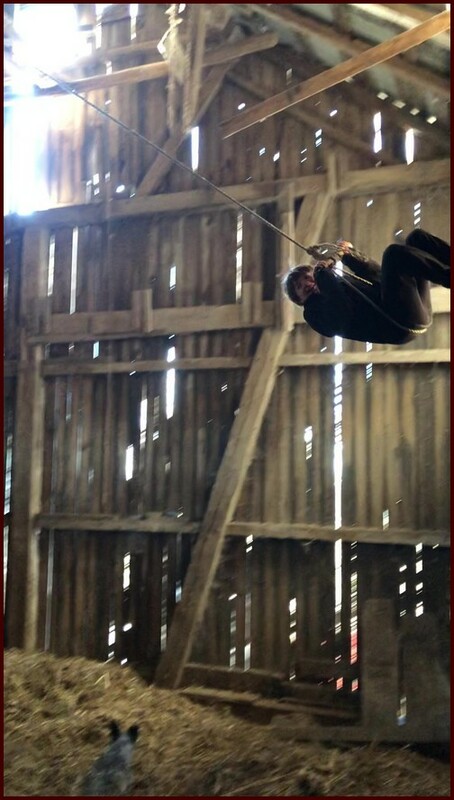 However, Eli had quite a swing ride jumping off the hay bales! Jesse was given 4 pallets of wheat pasta suitable for animal feed which he is using as feed supplement. Here the baby pigs are crunching some dry spaghetti. Cody Parkey Misses Game-Winning Field Goal | 2018 NFC Wild Card Game Video (For those who missed the suspenseful moment!) Watch the bear mascot fall over as he watched the missed field goal! “Icing The Kicker” Video This Pepsi commercial has been running for several months and if I recall correctly ran during the game yesterday. Note the winning coach’s facial expression at the end!